I said I’d share a few snaps I took on the day of our shoot and here we go! I’m currently interning as a fashion assistant so I was there to help with the styling etc. The sun shone all day and I felt like I was on holiday! The first photo still makes me chuckle, incase you didn’t notice that is a cheeky little squirrel (I named him Sid) trying to steal our food! 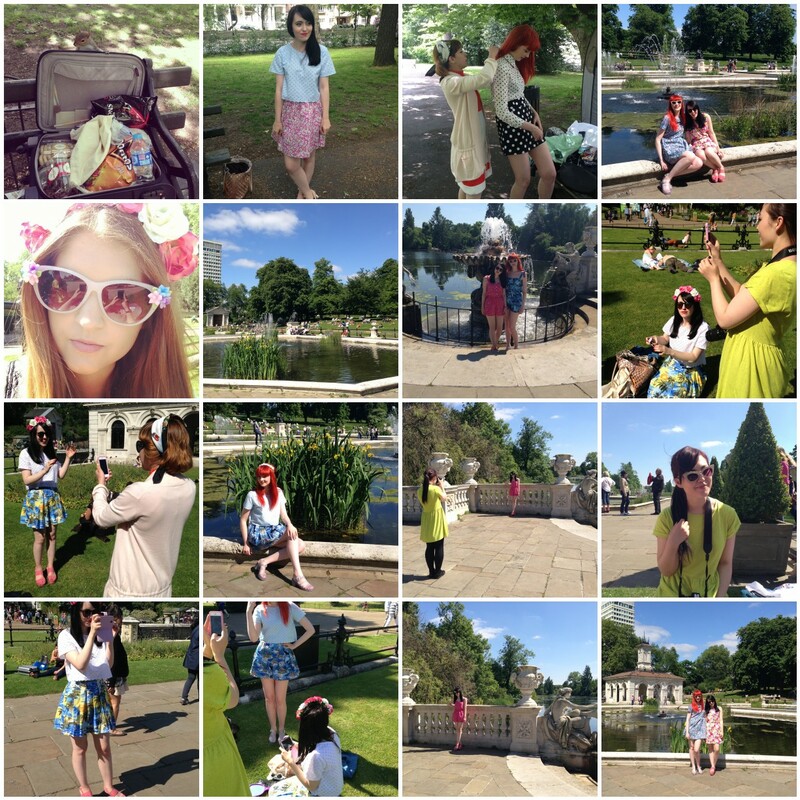 We shot in Kensington Gardens, it was was the perfect location I can’t believe I’ve never been there before it’s beautiful. Jayne and Emily looked amazing and all the pieces will be available on moddolly.com soon. I’ll share some final images with you when they’re ready. There’s some gorgeous playsuits and pretty awesome Hawaiian skirts in the collection. We also shot earlier in the week with Monica from helloomonica.com which was another lovely sunny day! Pretty lucky week really! Find me on Instagram tilly_jayne!